Yukio Koshimori is one of the shrewdest, craftiest minds in the empire. Many question his recent arrival in the Jwar Isles, some suggest his appearance a bad omen ; that the Empire’s interest in the isles is piqued whilst others claim it can only lead to prosperity. What is certain is that when Yukio speaks, he speaks with the authority of the emperor and whether he is questioning a samurai’s ... <lire la suite>. 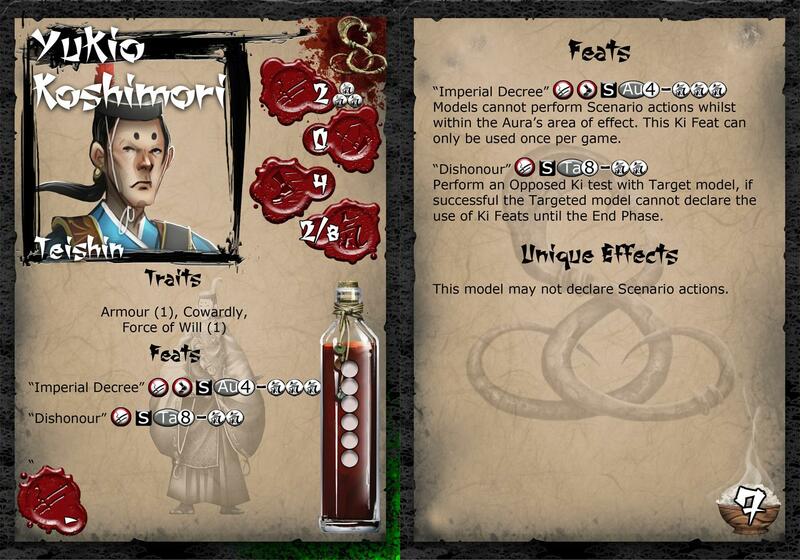 Yukio Koshimori is one of the shrewdest, craftiest minds in the empire. Many question his recent arrival in the Jwar Isles, some suggest his appearance a bad omen ; that the Empire’s interest in the isles is piqued whilst others claim it can only lead to prosperity. 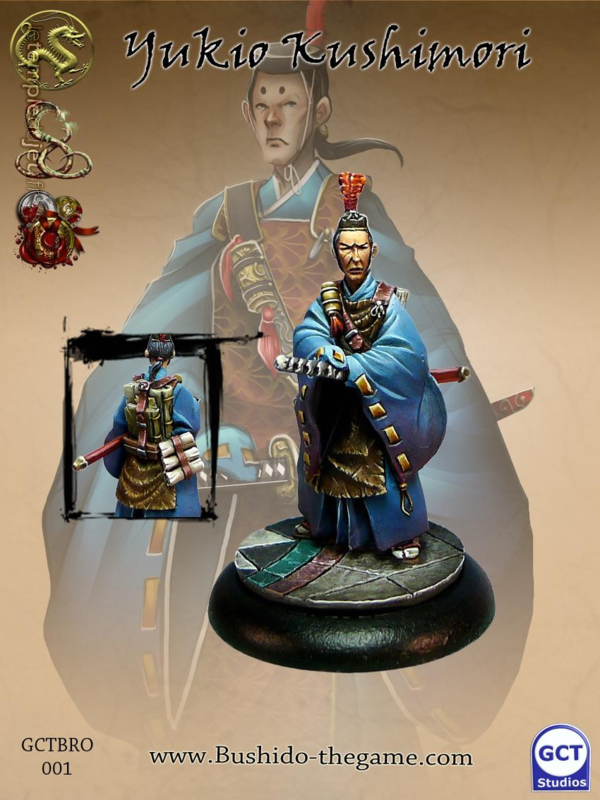 What is certain is that when Yukio speaks, he speaks with the authority of the emperor and whether he is questioning a samurai’s honour, chastising an underling or barking orders, he cannot be dis-obeyed. Yukio is a representative of the Imperial Court and can issue a decree in their name should those in his presence displease him. This single action leaves those who oppose him with their plans in tatters, their troops powerless, having no choice but to obey the word of the Emperor. Blister contains one miniature, one 30mm base, three full colour profile cards and an enhancement card.